In the past few months, there has been a lot of tennis on TV. Wimbledon, Roland Garros, and other big tennis events are fun to follow. Playing tennis on your iPad is fun too. 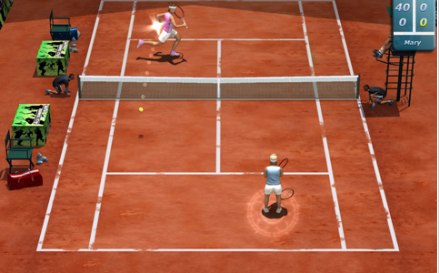 Ace Tennis 2010 is an attractive and addictive tennis app for iPad that can satisfy your tennis cravings at all times. It is quite top notch in the design department. Ace Tennis has been around for quite some time. 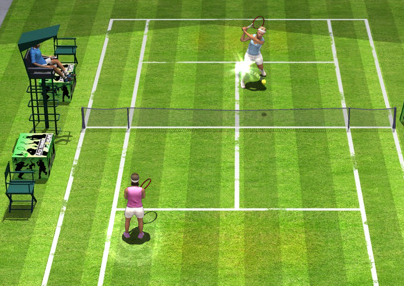 Ace Tennis 2010 takes advantage of what your iPad has to offer to bring you an even more addictive experience. The graphics are quite superb and the game play is very intuitive and fun. The large screen does make it much more fun to play virtual tennis. 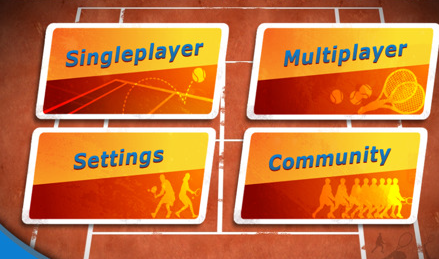 Ace Tennis 2010 lets you play on 3 different surfaces. You can play against computer or others from around the world. The controls are easy to get a handle on too. 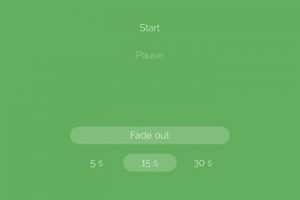 Just tap to move around and tilt to change the direction of your ball. Overall, if you are a fan of tennis or just want to play a high quality sport game on your iPad, Ace Tennis is a nice app to pick up. Great game play and graphics. Online play can be improved, but the app has a lot of going for it.